Why did you make Star Wars Downunder? Michael and Bryan wanted to make a Star Wars fan film to enter onto the official Fan Film competition run by Lucasfilm, which included George Lucas himself as one of the judges. Also, they wanted to make a fan film which included more scope in terms of visuals than just the usual lightsaber battles and space dogfights that seemed to be the norm in most fan films. Ironically, due to the wider scope of the film, post production took so long that the official fan film competition finished one year before the film was completed! Michael and Bryan’s initial spark for the idea came when, after seeing a snippet of “Quigly Down Under” on midday TV, posed the question: Can you imagine how awful and cheesy it would be if someone decided to do something similar for Star Wars? And with that, the pair decided to find out for themselves by mixing Star wars with a parody of the international stereotype of Australian culture. 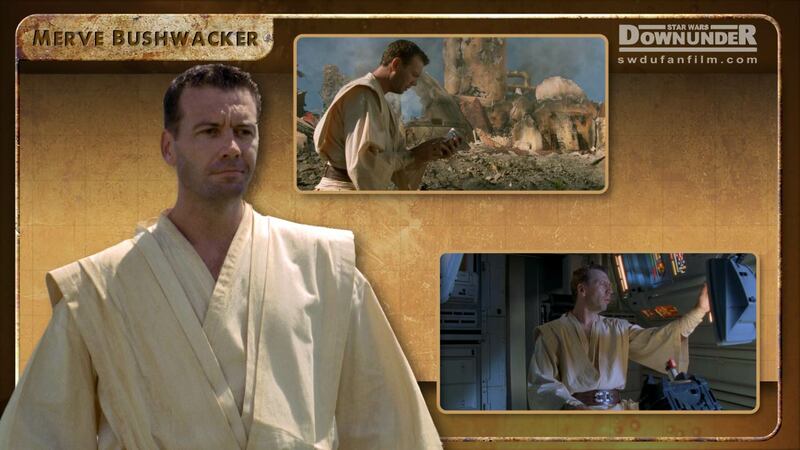 The film tells the story of a lone Jedi: Merve Bushwacker (David Nicoll), returning home after a long absence. His mission? To partake in a refreshing beverage, known locally as amber fluid. On his arrival, he is dismayed to discover the planet has become as dry as a dead dingo′s donger, thanks to the tyrannical rule of Darth Drongo. Drongo has hoarded all the amber fluid in his impenetrable fortress “Dunny’s Deep” for reasons unknown. Can Merve, and a motley collection of unlikely allies band together to topple Drongo’s evil regime? Will liberty and amber fluid flow freely once more? The finished film is 30 minutes long. The original idea was to make a 2 minute trailer, however as so much effort was being put into costumes and props that it was decided to expand it out to a ten-minute short film. As production continued more and more was added which eventually bumped the running time up to 30 minutes. 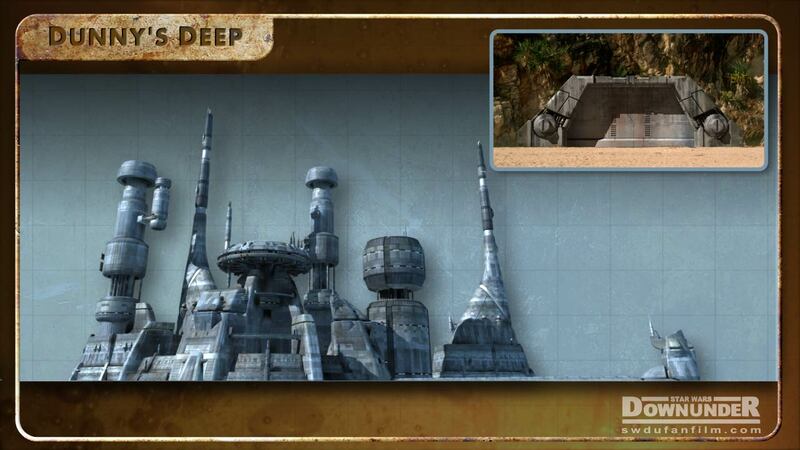 Where was Star Wars Downunder Shot? Star Wars Downunder was shot in South East Queensland. Locations included North Stradbroke Island, a quarry near Ipswich, Bulimba creek at Wishart, Wulkuraka, and a farm at Mutdapilly. Background shots used for compositing were shot at Thargomindah, in far west Queensland. The studio scenes were shot at Channel 7 Brisbane in a studio that lay dormant after the local children’s television production had moved to Sydney. Next to nothing. There are plenty of people willing to help out for free on a fun project like this: actors who are looking to expand their resume, stuntmen who have a little downtime, film students looking for a bit of experience. While shot on film, most of the film stock was left-over short ends that local production companies had discarded. Visual effects were handled primarily by Michael in his spare time, with help from Bryan, Pete Mullins, Mark Williams and Joseph Pole, all of whom provided their services for free. A long time. The film was shot in 2003 before Facebook, Vimeo, YouTube, Smart phones, Ipods and Twitter even existed. After shooting finished and a rough cut was made by Matt Cox (Mike’s brother, camera operator and co-executive producer), the project stayed on the shelf for many years, collecting dust. Several years later, when the guilt of having asked so many people to help out on the shoot became too great, post production began in earnest… sort of. With everyone having full time jobs and lives, the odd weekend here and there was allocated to the herculean task of completing all of the visual effects. How were the Visual Effects achieved? All of the visual effects on the film were achieved on standard home PCs. The software used is standard off the shelf software available to anyone. Adobe After Effects, Lightwave 3D and Autodesk Motionbuilder to name a few. The animation of the characters was created using Motion Capture. 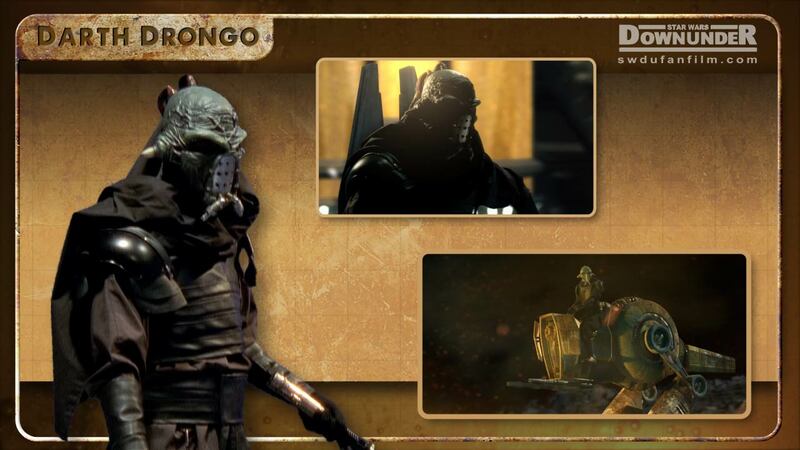 Local mo-cap suit owner John Haag supplied the gyro based outfit to record the actor’s body movements, while the facial motion capture was manually tracked in a very time consuming process. Can you make any money out of it? After its big screen premiere in late August it will shown as part of the Pythia Film Festival in Brisbane. It will also, of course, be available online on Vimeo and YouTube.